Picture Perfect setting surrounded by rolling hills! 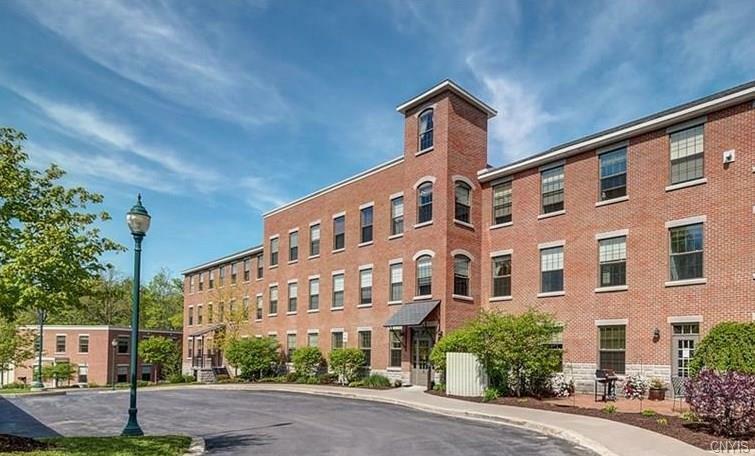 This Upper Crown Mill Condo has one of the nicest picturesque views of Nine Mile Creek. 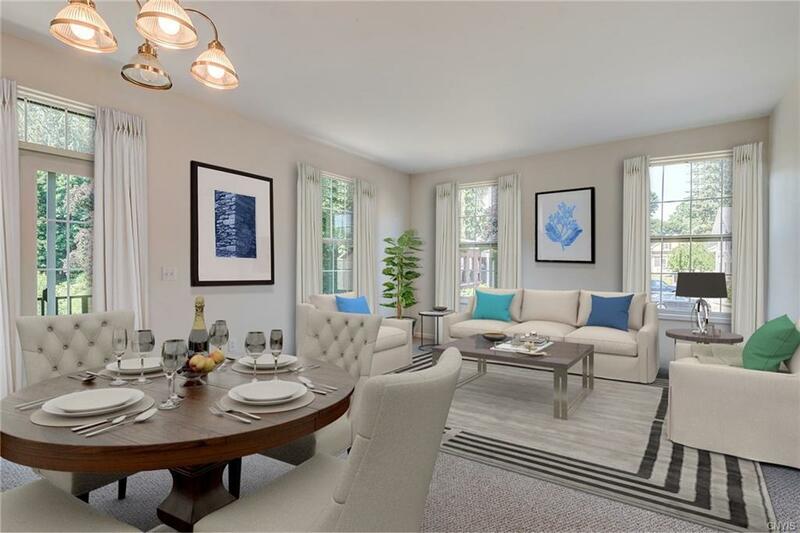 Nice layout in this Light & Bright South Western Corner end unit. 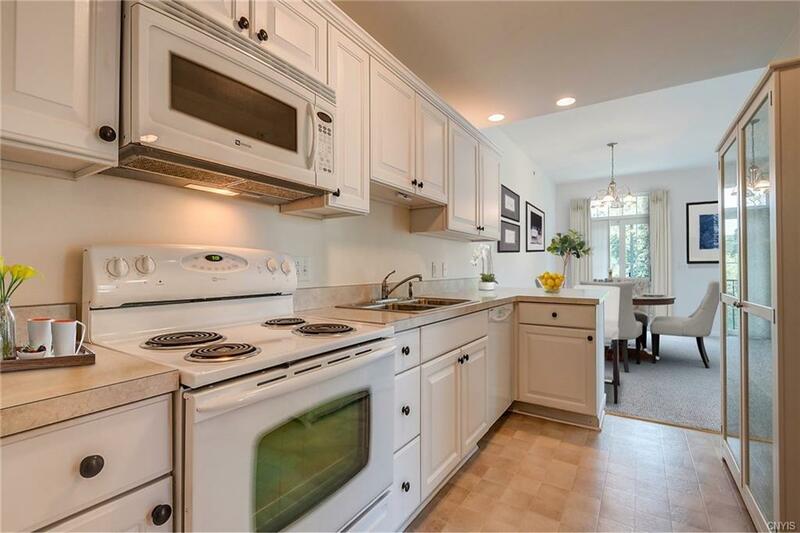 The Kitchen features breakfast bar, plenty of cabinets & counter space. Great room w/Glass sliding door out to the balcony. A LG Jack & Jill bathroom between the bedrms. Another 1/2 bath off the hallway as well the stackable washer & dryer. There is assigned parking in garage under building w/elevator to condo. Ample outdoor parking for guests. Owner has storage unit approx. 5X8. Amenities include LR Community Room w/ kitchenette, electric fireplace and TV. Wonderful outdoor patio for additional entertaining & gas grill. Exercise room & workshop for residents. Convenient to all village amenities, library, shopping & restaurants. 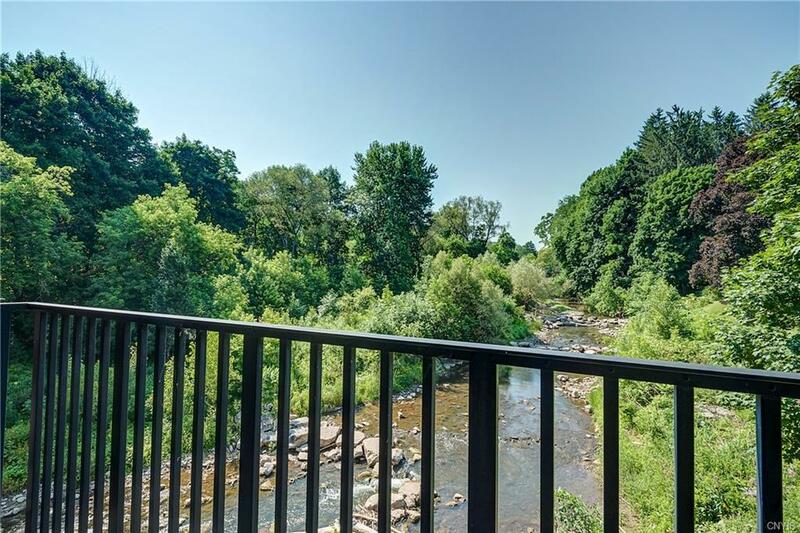 This luxury condo is one of the best value condos in the community. Make it yours today and transform your lifestyle to easy condo living!